I am terrible at fighting games. I don’t have the skill, timing or patience to hold my own against anyone with more than entry level experience with any kind of brawler. In saying that, I do enjoy jumping into a game from a particular franchise every once and a while to share some fisticuffs with an AI opponent or, if I’m feeling particularly masochistic, grabbing controller two and duking it out with a mate at a get-together. From the title of this article I’m sure its no shock to hear that the series is none other than Mortal Kombat. The MK series is easily my all-time favourite in the genre thanks to its great gameplay, convoluted yet enthralling storyline and most of all its creative and often ridiculous cast of characters. Throughout its long reign as the greatest fighting game series of all time (it definitely is and I’ll fight you if you say otherwise), MK has seen a huge number of badass, quirky and sometimes downright bizarre entries to its roster. With each iteration the list of playable fighters changes and the upcoming Mortal Kombat 11 will be no different. Keeping this in mind, I have four characters that I think should make a reappearance from earlier games, and a guest character from an existing IP that would fit in perfectly. Now a small number of fighters have already been announced and no other series mainstays such as Kitana and Lui Kang will be featured on this list as it is already pretty damn likely we will be seeing them in game, so with that out of the way, let’s begin…FIGHT! What is a fighting game without a towering giant that can kick the crap out of you in three moves? Now we have already been introduced to Kronica, the villain of MK11, so the role of end boss will likely fall to her, but with her apparent time-traveling abilities she could always bring back some muscle from the past to aid in her mission. With that said, it’s possible for the former ruler of Outworld to make a triumphant return – this of course being none other than The Dragon King Onaga. Not much needs to be said about Onaga – he is a big, anthropomorphic dragon that breathes fire and uses his wings to blow his opponents off of their feet, what’s not to like? 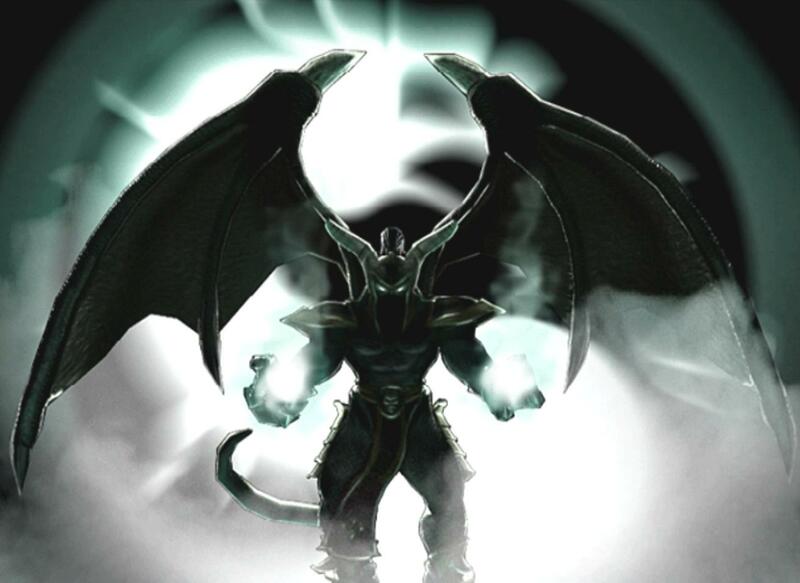 With all other main villains having come and gone, being either decapitated, banished or vaporised, it would be great to see the original ruler of Outworld make his return to frustrate players with his size and move-set as a possible sub-boss. Onaga has been lurking in multiple character’s arcade endings for a few iterations now, why not bring him out of retirement (death) and let him spread his wings once again. With every great villain, there should be a great hero. For the longest time the defender of Earthrealm in MK has been the God of Thunder, Raiden. Now after the events of MKX it looks as though he might be a little less defender and a little more overlord. This gives fellow deity Fujin, God of Wind, the opportunity to step out of Raiden’s shadow and take the top spot as Earthrealm’s protector. He would optimally be portrayed struggling with either being loyal to the Elder Gods or to his friend, which could make for a pretty compelling narrative. Above all else I would just be keen to play as Fujin during the campaign coming to blows with a maniacal, red-eyed Raiden. God vs God, sounds delightful. Having the power of wind at his disposal, Fujin has the potential for a varied move set that marries closer quarters fighting with long-ranged special attacks. 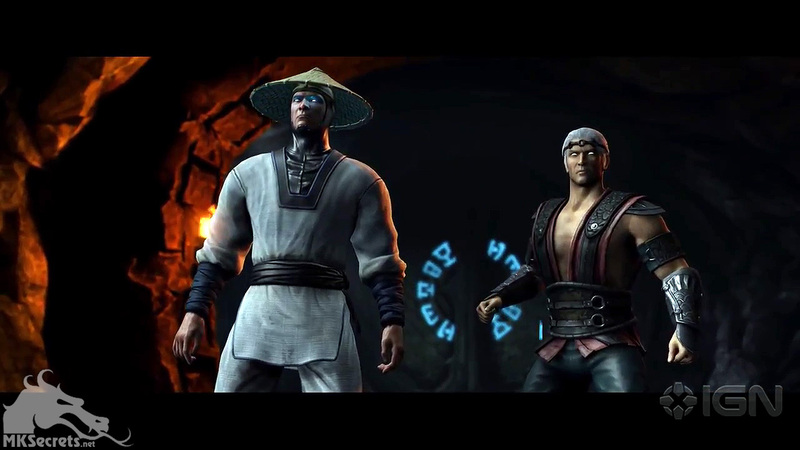 With the exception of Shao Khan, only Fujin uses the Lui He fighting style, meaning his inclusion would make for some welcome diversity amongst the roster. 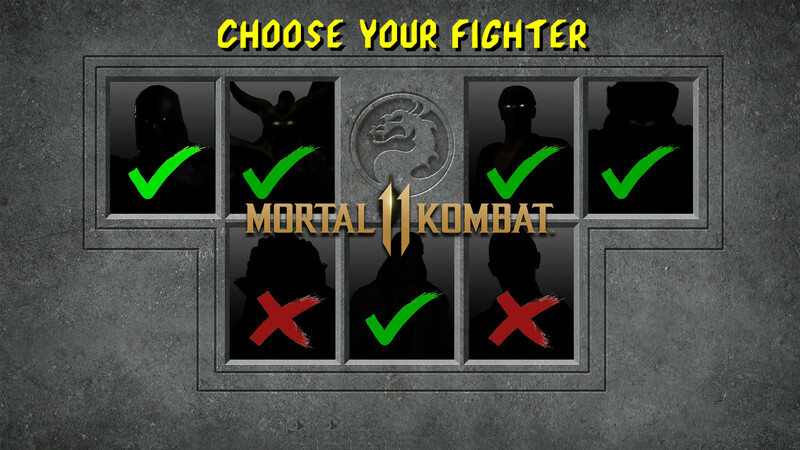 My choices so far have been based off either story or gameplay importance – this entry is not based on either, this entry is my one entirely selfish choice, the former Sub-Zero, the resurrected wraith, Noob Saibot. This inky black ninja is an absolute legend, able to create duplicates of himself that attack his opponent from both sides, he kicks all kinds of arse. Not only does he have an interesting and gritty backstory, he has been mysteriously absent since being kicked into the Soulnado (that is a tornado made of souls if that wasn’t already obvious) meaning his return would be unexpected to players and in-game characters alike. More important than anything else, old mate Noob is a joy to play as and has a move-set that is smooth as silk, making him the total package, no bias involved here. 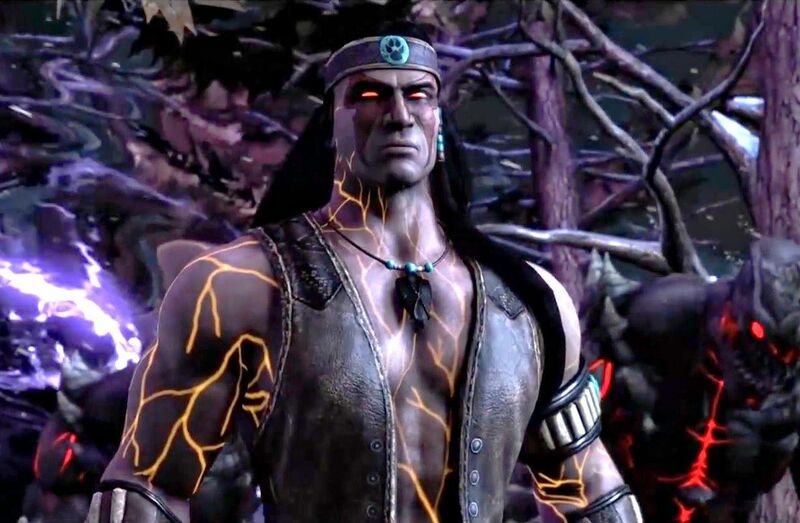 I will be all over MK11 regardless, but if NeatherRealm really want to spoil players, give us some sweet sweet Bi-Han action. 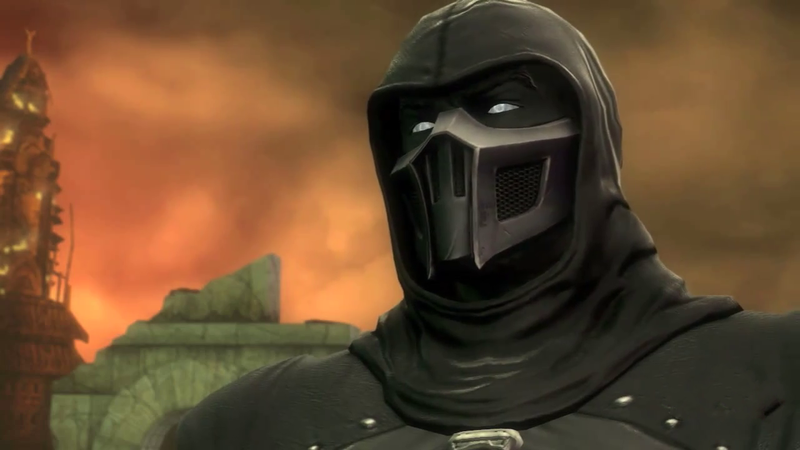 Furthermore, if you look in the mirror and say Noob Saibot backwards five times it spells the last name of the series’ original creators…five times. The more you know. It has become a tradition in the last few MK titles to include at least one guest character. With the exception of Kratos in MK9, all of these guest characters have originated from horror films. MKX included the likes of Jason Vorhees, Alien, Predator and Leatherface, gobbling up a lot of horror icons in one fell swoop. Admittedly there are still quite a few characters left to choose from, but my money is on IT’s Pennywise to step into the arena next. This grotesque clown fits the bill in a multitude of ways. Firstly, his shape shifting abilities allow for a potentially brilliant move set that could incorporate his spider legs and horrific teeth. 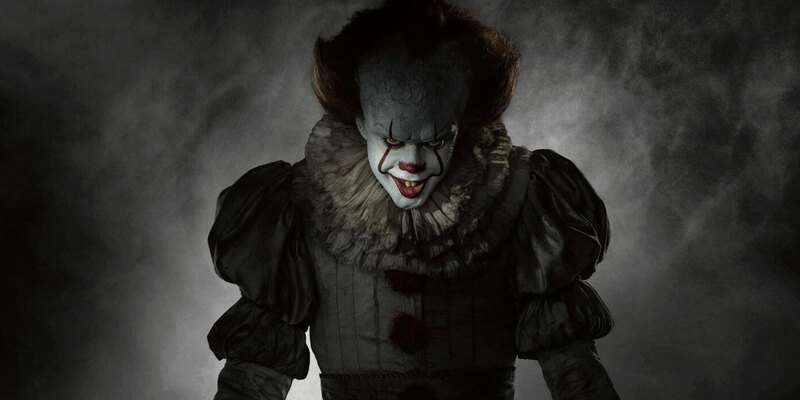 Secondly, he has a number of different iconic looks that could easily translate into alternate costumes – picture Tim Curry Pennywise vs the modern Bill Skarsgard interpretation, we could settle the debate of who portrayed the character better once and for all (it’s Tim Curry for those playing at home). Thirdly, the character’s success and notoriety makes for a relatively safe bet as far as hype goes – It: Chapter 2 releasing this year helps the likelihood as well. Lastly, the brutal fatalities this monster could perform would be amazing if the films are anything to go by, so expect all of the other characters to float down here if he joins the roster. It is more than likely that we won’t see all five of these characters present in the new title (though I will be crossing my fingers and toes), but we won’t have to wait long to find out the full MK11 roster as it is releasing 23rd of April. Would you like to see Babalities and Friendships again? How about create-a-Fatalities? Jump into the comments and let me know what characters, stages and features you would like to see return and who else you think would make for a welcome addition as a guest.